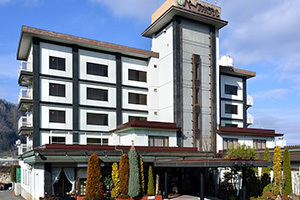 The Ninohe Park Hotel is conveniently located a 5-minute drive from Ninohe Station. It has a banquet hall in addition to Japanese-style rooms and single and twin Western-style rooms. The hotel provides a base for both business travelers and tourists while also offering wedding, party and conference facilities. This calm hotel shares a glimpse into local culture with a display of Ninohe’s traditional Joboji lacquer craft in the lobby. Tasteful decorating and soft lighting gives the guest rooms a tranquil atmosphere. All rooms have internet access so you can work during your stay. 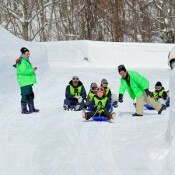 Even if your plans change suddenly, rest assured that the Ninohe Park Hotel can accommodate same-day bookings. Reception is open until 9:00 PM and the last check-in time is midnight. Add a breakfast plan to your stay and choose from Japanese and Western style breakfasts in Yamazakura restaurant. Yamazakura is also popular for its menu of Japanese, Western and Chinese dishes made with local ingredients. The restaurant is open until 9:00 PM, so you can have a relaxing meal without going out again after your arrival. Enjoy the tastes of Ninohe accompanied by local sake or excellent fresh draft beer delivered straight from the brewery. 5 minutes by car from Ninohe Station, 15 minutes on foot. 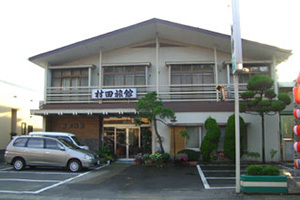 The Ninohe City Hotel is a downtown business hotel offering WiFi in all rooms. The large bathroom has a sauna and a natural hot spring bath which can be used at alternating times by men and women. Even when you’re here on business, you’ll feel like you’re on a hot spring trip. The source of the hot water is “reimei no yu” from Kindaichi Onsen, which, according to local folklore, is known as the home of of the childlike zashikiwarashi spirit. If you soak six days a week in the hot spring water of the bath, your skin will become moist and the fatigue of work and travel will be relieved. Female guests receive a special gift of bath amenities. Restaurants and convenience stores are conveniently located nearby for shopping or nightlife after your bath. For crime prevention purposes there is a 2:00 AM curfew. Guest rooms in both the main building and the annex are divided into smoking and non-smoking floors. Beds in the Western-style rooms are 120cm wide and covered with fluffy duvets, providing plenty of space to stretch out and enjoy a comfortable sleep. These are rooms where you can relax barefoot, without shoes or slippers. 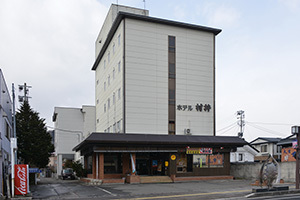 With facilities such as trouser presses, a coin laundry and a manga corner where you can borrow comics to read in the comfort of your room, the Ninohe City Hotel is a comfortable place for a long-term stay at reasonable rates. 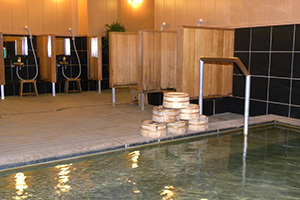 * The hot spring quality is rated as “simple hot spring”. 7 minutes by car from Ninohe Station, 20 minutes on foot. The Murata Ryokan is a rustic, long-established inn with a welcoming and hospitable atmosphere. Feel the history in the bathtub made of cypress. Many pubs and restaurants frequented by locals are nearby, and you can come and go with a carefree feeling, just like you’re visiting your hometown in the country. 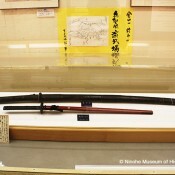 The Murata is also recommended for long-term stays. 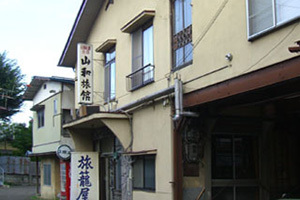 Hotel Murai offers a cozy atmosphere in central Ninohe. Being almost directly across from the sake brewery that produces the city’s local “Nanbu Bijin” sake (served on international airlines), Hotel Murai makes a convenient base for sightseeing in the Ninohe area. Panoramic windows in the room containing the spacious baths in the new wing overlook the Mabechigawa River. 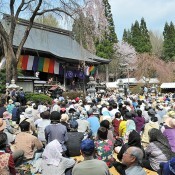 The site where the Meiji Emperor stopped to rest on his tour of Tohoku in 1876 is also here. Mabechiso Ryokan is long-established inn run by two generations of the same family. It is popular for its Japanese cooking. One by one, savor the exquisite homemade dishes, created in the spirit of hospitality. Taste them with your eyes as well as your mouth. Mabechiso also has an on-site Japanese restaurant that requires reservations, which provide Japanese dishes for your celebrations and parties. Relax and stretch out in the Japanese-style rooms, some of which have ensuite bathrooms. Wi-Fi is available in all rooms. The bathing area is equipped with a fully-automatic hot water circulation and cleaning system, making it available 24 hours a day, so even those who like to bathe in the morning will be happy. With facilities such as a washing machine and dryer, Mabechiso is convenient for people on long business trips and those who just like to travel light. 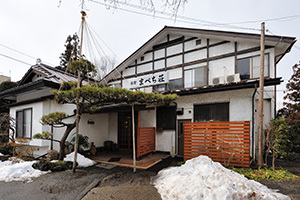 The Sanwa Ryokan is a business inn located in a quiet residential area. 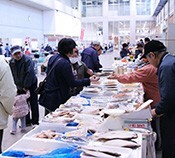 It is a 3-minute drive or 10-minute walk from Ninohe Station, and offers convenient and reasonably-priced accommodation for travelers and business people. Please consult us about discounts if you require long-term accommodations. 3 minutes by car from Ninohe Station, 10 minutes on foot.